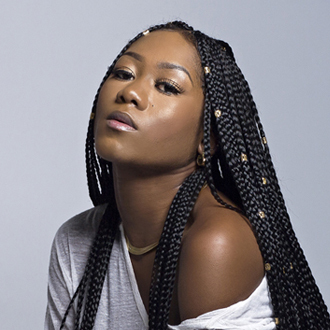 During the past five years, Priscilla Renea has emerged as a prolific songwriter who’s co-written many hits in several genres, and she’s also a talented pop/urban artist. Based in Los Angeles, Renea has become an in-demand hit songwriter who has co-written with some of the biggest artists and top writer/producers in the music industry. The list of recording artists she’s collaborated with reads like a Who’s Who of the pop charts, including Mariah Carey, Madonna, Rihanna, Pitbull, Kesha, Demi Lovato, Chris Brown, Selena Gomez, Fifth Harmony, Mary J. Blige, B.o.B., Kelly Rowland, Big Sean and Little Mix. She’s also worked with top writer/producers such as Stargate, Dr. Luke, Diplo, Eman Kiriakou, Toby Gad, William Orbit, Jean-Baptiste, Kuk Harrell and Wayne Wilkins. In the past year, Renea has co-written two major chart hits. Currently on the pop charts is the single “Worth It” by female group Fifth Harmony, which reached #12 on the Billboard Hot 100, and became an international hit in about 20 countries. In addition, Renea impressively scored a hit in a different genre, co-writing the #1 country hit “Somethin’ Bad,” which is a duet by Miranda Lambert & Carrie Underwood. Renea is also known for co-writing the #1 hit “Timber” by Pitbull (featuring Kesha), and the hits “Don’t Wake Me Up” (Top 10 hit for Chris Brown), “Who Says” by Selena Gomez & the Scene, “Promise This” (a #1 U.K. hit by Cheryl Cole) and “Infinity,” the recent Mariah Carey single from her #1 to Infinity greatest hits album. As an artist, Renea was signed to Capitol Records and in 2009 released her debut album, Jukebox. Currently, Renea is an independent artist who is recording new material and performing live shows. She also appears as a featured vocalist on other artists’ cuts. Renea has been signed with Warner/Chappell Music Publishing for several years, and she works with creative execs Jon Platt, Ryan Press and Katie Vinten, who help set up writing collaborations for her, and assist her with other opportunities. Soon after, Renea landed major cuts with Rihanna and Selena Gomez. “My first big U.S. release was co-writing ‘California King Bed’ for Rihanna (which was released as a single from her Loud album). I wrote this song in Miami with The Runners (Jermaine Jackson & Andrew Harr).” Renea subsequently co-wrote two songs for Selena Gomez & The Scene’s album, When the Sun Goes Down, and her song “Who Says” (co-written with Eman Kiriakou) became a pop & dance hit. 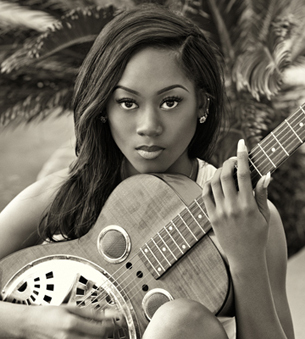 Then in 2012, Renea co-wrote the single “Don’t Wake Me Up” for Chris Brown, which was included on his comeback album Fortune, and it became a Top 10 hit in the U.S. and was a hit single in many other countries. Renea continues to write songs, both for herself and for other artists. In addition to working on her own project, she has two new placements with other artists. She co-wrote the song “Be Right There” with hit DJ/writer/producers Diplo & Sleepy Tom, and she is the featured vocalist on this cut. She also co-wrote the cut “Bottom of the Bottle,” which was recorded by rapper Curren$y (featuring Lil Wayne and August Alsina).